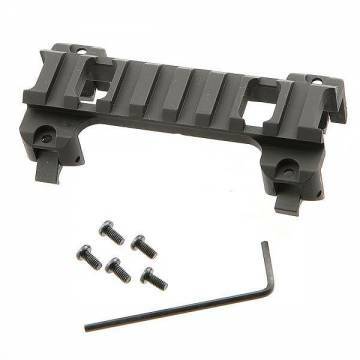 - This high quality machined aluminum rail will mount to most any MP5 or G3 series AEG allowing for the attachment of a red dot sight or scope. - Its low profile design will keep your gun streamlined for low drag operation. - One piece machined aluminum weaver rail mount with four independent claws. - 3.5 inch, 8 slot rail.